The projects on this page form a collection of the art I've done between high school and now. 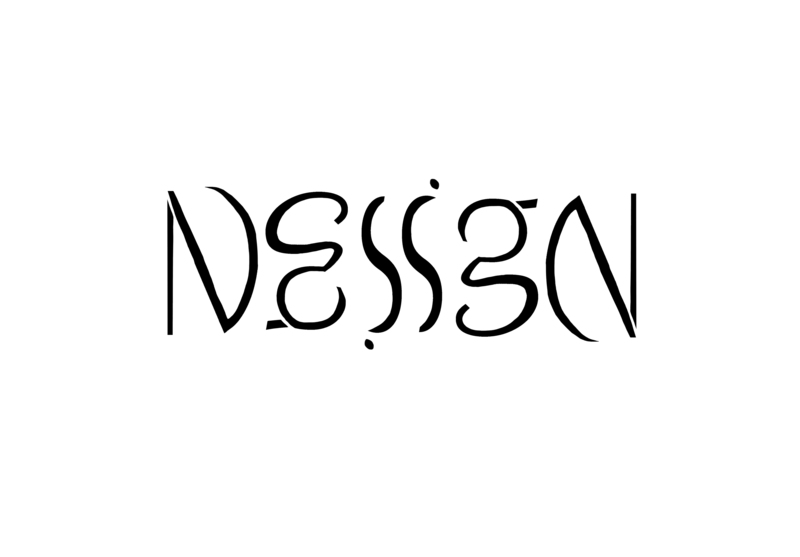 This piece of typography I made spells the word "design" looked at from both right side up and upside down. Made at Drexel University, Media for Design class. This is the same, except with pieces fading in and out. 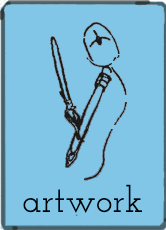 Made at Drexel University, Design for Media I. A watercolor painting of a quote my grandpa said. Made at home in 2012, I think. 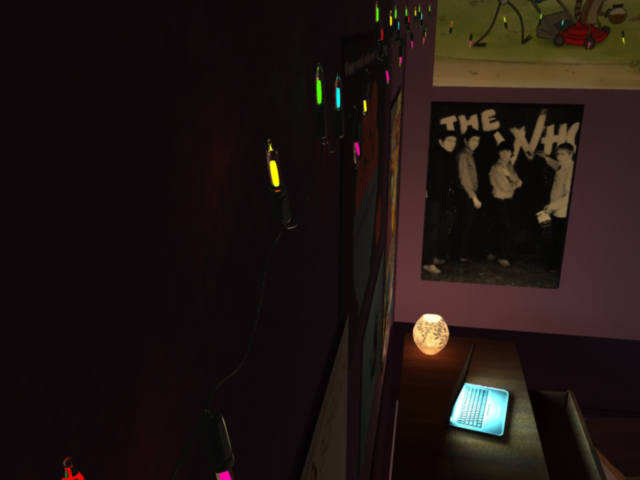 This is a rendering made in Autodesk Maya at Drexel University, Computer Graphics Imagery class. A project exploring the concept of color perception. Made in Adobe Illustrator at Drexel University, Design for Media II. 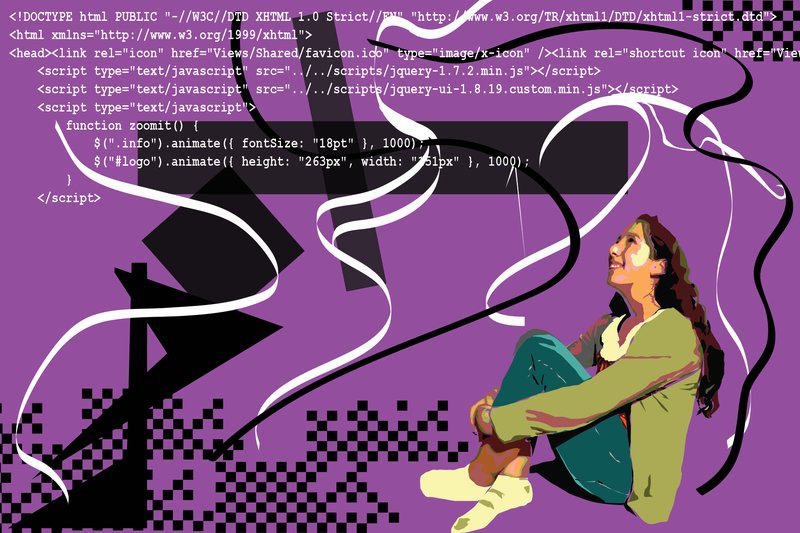 A self portrait in Adobe Illustrator for a project I had to do in my first year at Drexel University, Digital Design Tools class. 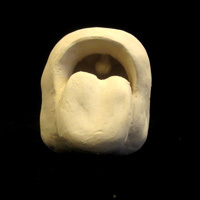 This is one in a series of sculptures I made representing parts of my personality. I'm not really that classy though. Made in high school, Center for Performing and Fine Arts. 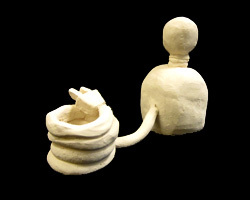 This is one in a series of sculptures I made representing parts of my personality. Made in high school, Center for Performing and Fine Arts. 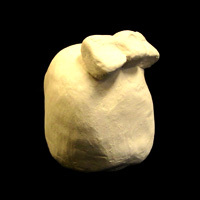 This is one in a series of sculptures I made representing parts of my personality. I'm pretty silly. Made in high school, Center for Performing and Fine Arts. 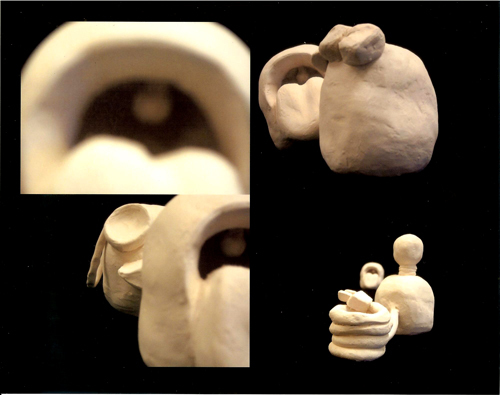 This is the whole series of sculptures I made representing parts of my personality. 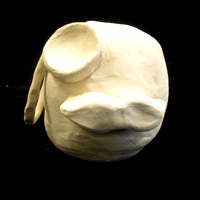 In this one, the silly sculpture is being itself. Made in high school, Center for Performing and Fine Arts. 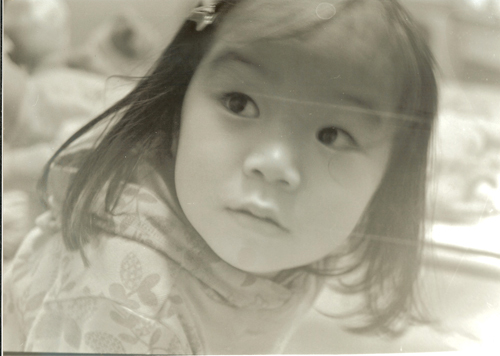 A black and white 35 mm film photo of my cousin Lily. Taken, processed, and developed myself in our highschool's dark room. Made in high school, Center for Performing and Fine Arts. 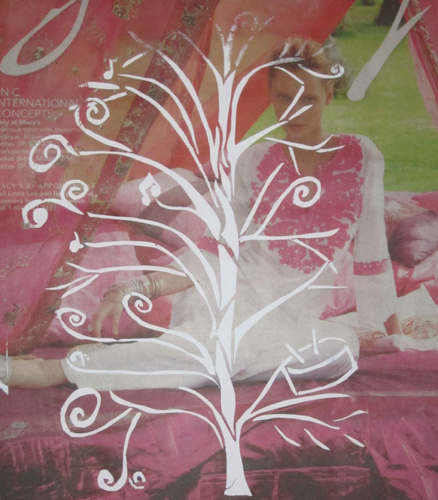 Silkscreened tree I designed onto a newspaper for my Illustration class. Made in high school, Center for Performing and Fine Arts. 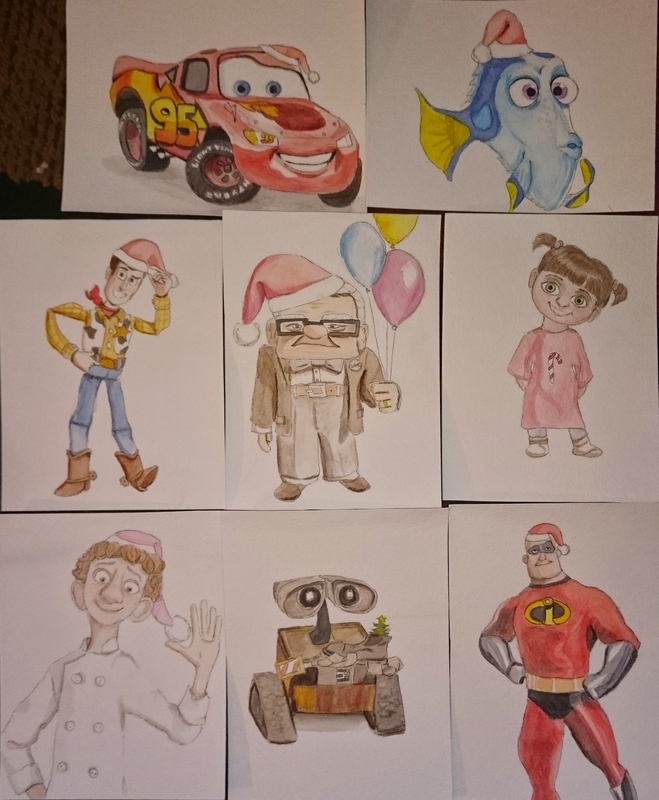 I made these in high school to give away for a Christmas tea where I made the whole table Pixar-themed. 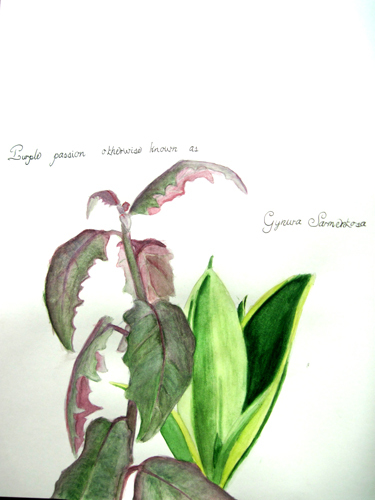 Watercolor of a purple passion plant for my Illustration class. Made in high school, Center for Performing and Fine Arts. 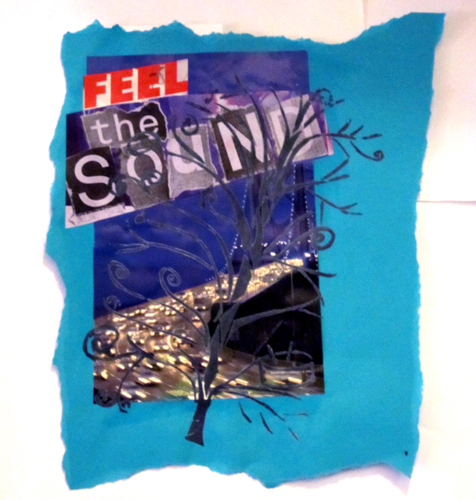 Silkscreened tree I designed in a collage for my Illustration class. Made in high school, Center for Performing and Fine Arts. 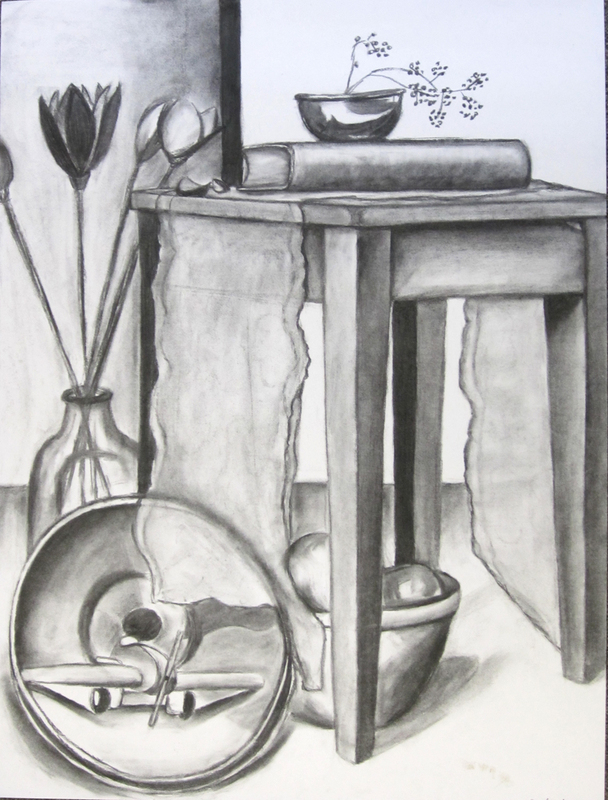 A charcoal still life made for my Drawing and Painting class. Made in high school, Center for Performing and Fine Arts. Sarahcuda Creations logo for a Graphic Design Project. Made in high school, Center for Performing and Fine Arts. 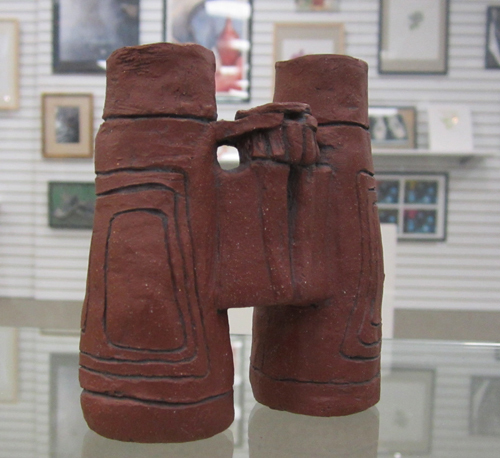 Red clay sculpture. Made in high school, Center for Performing and Fine Arts. 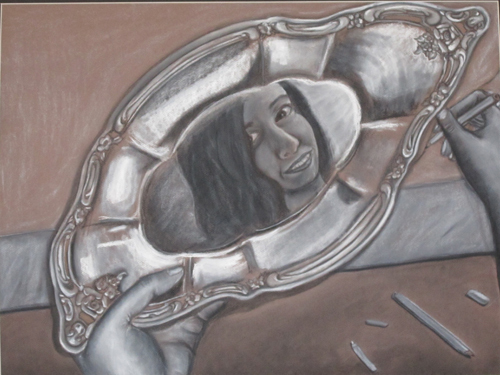 A charcoal self portrait in the reflection of a dish. I took Portfolio Prep class because at this point I wanted to be an artist. Made in high school, Center for Performing and Fine Arts. 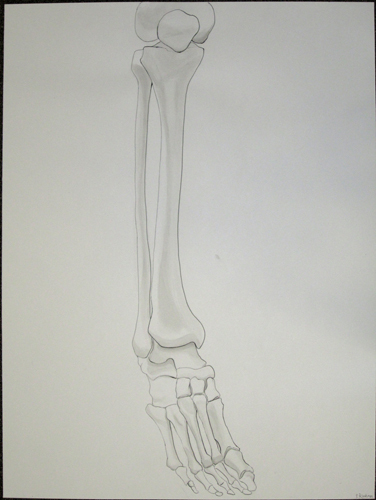 A pen and ink wash drawing of the human leg and foot for my Drawing and Painting class. Made in high school, Center for Performing and Fine Arts.